Girls didn’t wait in line to be diagnosed with ADHD. The fact that they are being diagnosed in significantly large numbers of recent times has more to do with the ever expanding definition of ADHD and less to do with markedly new trends in girls behaviour or concentration levels. Whether you believe that ADHD is real or not is besides the point. What should shock people is the level of over prescribing that’s going on and the lack of focus in other aspects of a child’s lifestyle such as diet and sleep that may be contributing to the problem. Attention deficit hyperactivity disorder (ADHD) is the most commonly diagnosed mental disorder among children in the United States — and a new analysis suggests that diagnoses are on the rise. Between 2003 and 2011, the prevalence of ADHD diagnoses jumped by 43 percent among children between the ages of 10 and 14 and by 52 percent among 15- to 17-year-olds, according to parents who responded to a national survey conducted by the Centers for Disease Control and Prevention. Although the overall rates remained highest among white children, the new analysis of the survey data, published in The Journal of Clinical Psychiatry on Tuesday, revealed that a growing number of Hispanic and black children are being diagnosed with the disorder. And while ADHD has long been perceived as a boys’ condition, researchers noted a surprising jump in diagnoses among girls, which increased by 55 percent during the study period. The question of why, however, is one researchers say they do not have an answer for. Even girls who display “classic” symptoms of ADHD, such as restlessness and impulsivity, may have been missed in the past simply because many parents, teachers and doctors have operated under the misapprehension that ADHD rarely affects girls. In general, Cleary said it is not yet clear whether the increasing rates are evidence of doctors doing a better job truly capturing how many children have the disorder; if the disorder is being over-diagnosed; or if something else is at play. Many experts have been critical of how readily ADHD diagnoses are handed out, and how quick some healthcare providers are to prescribe medications. For example, one CDC investigation found that thousands of toddlers are being medicated for ADHD with drugs like Ritalin and Adderall, despite the fact that the American Academy of Pediatrics does not even talk about diagnosing children under age 3. But as researchers continue to probe possible factors driving the apparent increase, a key takeaway from the new study, Cleary said, is that caregivers and clinicians should zero in on potential symptoms among previously overlooked populations, including girls. Click on the link to read my post on Stop Over Prescribing ADHD Medication to Young Kids! Click on the link to read my post on Does ADHD Exist? Click on the link to read my post on Why Prescribe 1 Medication for ADHD When You Can Prescribe 2? 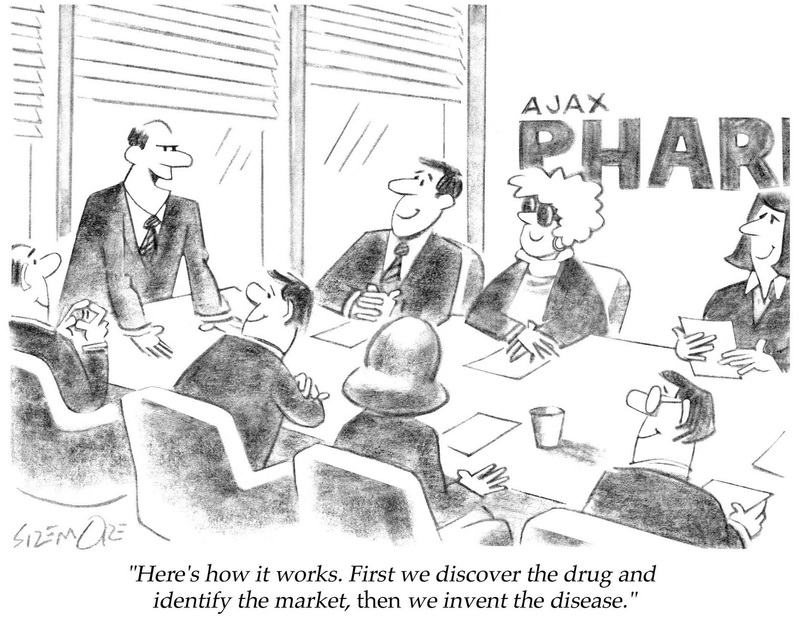 Click on the link to read my post on An ADHD Epidemic or an Over-Diagnosis Epidemic? Instead of looking at ADHD students as a nightmare. Instead of complaining about them in the staff room, see them as an incredible opportunity for personal growth. Many ADHD students act up when they are bored. 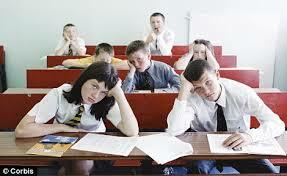 Whilst others can contain their impulses when they are disengaged or under stimulated, ADHD students tend to disrupt. Such disruptions should not be seen as bad behaviour, but rather feedback. Keeping children engaged and excited by their learning is an essential part of what we must seek to achieve. An ADHD student merely heightens the importance of keeping your lessons fresh, well paced, captivating and fun. I promise you that as you invest more in the quality of your lessons, the changes you experience in the behaviour of your ADHD students will become very noticeable. And before you know it, you’ll be developing lessons fit for an ADHD student even when you don’t have any. Click on the link to read my post on More than 1 in 10 U.S. Children Diagnosed with ADHD! 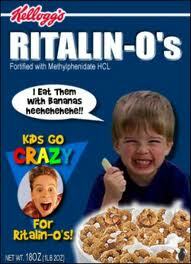 Stop Over Prescribing ADHD Medication to Young Kids! 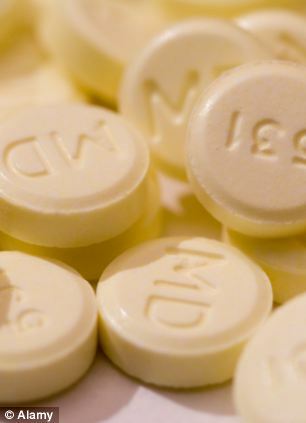 Some doctors seem obssessd with prescribing ADHD pills to youngsters. Are we really to believe that the disorder is as rampant as the prescription numbers lead us to believe? MORE than a fifth of school psychologists in England know of children under the age of six who have been prescribed ADHD drugs to treat behavioural problems despite it being against health guidelines, a study has found. HEALTH services are being pressured into offering the mind-altering drugs to preschool children because of a lack of psychologists available to offer intervention first, one of the lead researchers said. The study, to be published in full next year and carried out by the University College London Institute of Education and the British Psychological Society, raised concerns that diagnosing ADHD was seen as an “easy explanation” for behavioural problems which absolves families and schools of blame. It added that some educational psychologists feared there is “an increasingly prevalent view in society that people who do not fit a particular environment must have something wrong with them”. In its latest advice, independent health advisory body the National Institute for Health and Care Excellence says drug treatment is “not recommended for pre-school children with ADHD”. But 22 per cent of educational psychologists working in primary schools in England told researchers they were aware of children who were already on medication by the time they were seen by a psychologist. Vivian Hill, director of professional educational psychology training at the institute who helped conduct the research, said: “The huge cuts have meant that people really feel under pressure to offer drugs when they can’t offer long-term interventions. “It really is quite a significant threat to our children and young people. It’s a naive gesture to thinking the quick-fix solution is dealing with the problem – it’s just masking it. “Some of children are living in very difficult family situations and the behaviour is a consequence of that. “If you were to unravel the nature of the child’s behavioural problems, 9/10 times you find it is because of significant factors in the child’s life and is really irrespective of any pathological undercurrent.” She added that in many cases children who are treated by psychologists first do not need to progress to medication. Click on the link to read my post on Shock Horror: Sleep Deprived Children Diagnosed with ADHD Instead! I am not qualified to make a clinical assessment about ADHD. All I know is that a startlingly high number of children are being diagnosed with the condition. Paediatric neurologist Dr Richard Saul, based in Chicago, believes that ADHD simply ‘doesn’t exist’ and is being used as a mask for less serious problems. Dr Saul argues that children are being misdiagnosed. Echoing Dr Saul’s views, a group of researchers from Australia and the Netherlands said in November that the diagnosis of ADHD may have become too broad. A wider classification of symptoms for ADHD in the psychiatric ‘bible’ used by the profession has led to a steep rise in diagnosis and prescriptions for medication, the study warned. The group of researchers said there was now a risk of over diagnosis which could fuel scepticism about the disorder. In addition, stretched resources may mean some seriously affected children do not get medical help, or they are undertreated. Hitchens: Dyslexia is NOT a Disease. It is an Excuse For Bad Teachers! While I cannot comment on a report that claims there is no easy definition for dyslexia, I do agree that learning difficulties and ADHD labels have been helpful to poor teachers looking for an excuse. I doubt there has ever been a society so easily fooled by pseudo-science and quackery as ours is. Millions of healthy people take happy pills that do them obvious harm, and are increasingly correlated with inexplicable suicide and worse. 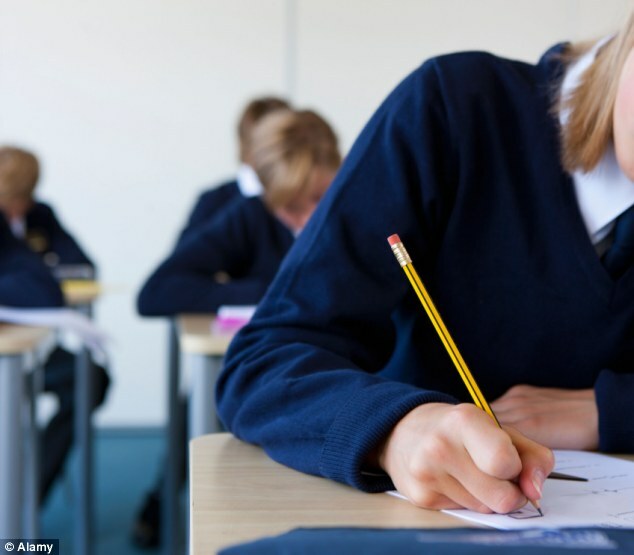 Legions of healthy children are drugged into numbness because they fidget during boring lessons, and countless people are persuaded that they or their children suffer from a supposed disease called ‘dyslexia’, even though there is no evidence at all that it exists. A few weeks ago I rejoiced at the first major cracks in this great towering dam of lies. Dr Richard Saul brought out his courageous and overdue book, ADHD Does Not Exist. I also urge everyone to read James Davies’s book Cracked, on the inflated claims of psychiatry since it sold its soul to the pill-makers. Now comes The Dyslexia Debate, published yesterday, a rigorous study of this alleged ailment by two distinguished academics – Professor Julian Elliott of Durham University, and Professor Elena Grigorenko of Yale University. Their book makes several points. There is no clear definition of what ‘dyslexia’ is. There is no objective diagnosis of it. Nobody can agree on how many people suffer from it. The widespread belief that it is linked with high intelligence does not stand up to analysis. This is because both are given exactly the same treatment. But as the book’s authors say: ‘Being labelled dyslexic can be perceived as desirable for many reasons.’ These include extra resources and extra time in exams. And then there’s the hope that it will ‘reduce the shame and embarrassment that are often the consequence of literacy difficulties. It may help exculpate the child, parents and teachers from any perceived sense of responsibility’. I think that last point is the decisive one and the reason for the beetroot-faced fury that greets any critic of ‘dyslexia’ (and will probably greet this book and article). If it’s really a disease, it’s nobody’s fault. But it is somebody’s fault. For the book also describes the furious resistance, among teachers, to proven methods of teaching children to read. Such methods have been advocated by experts since Rudolf Flesch wrote his devastating book Why Johnny Can’t Read almost 60 years ago. There may well be a small number of children who have physical problems that stop them learning to read. The invention of ‘dyslexia’ does nothing to help them. It means they are uselessly lumped in with millions of others who have simply been badly taught. It also does nothing for that great majority of poor readers. They are robbed of one of life’s great pleasures and essential skills. What they need, what we all need, is proper old-fashioned teaching, and who cares if the silly teachers think it is ‘authoritarian’? That’s what teaching is. Why Prescribe 1 Medication for ADHD When You Can Prescribe 2? 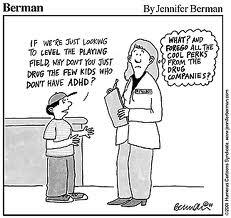 The pharmaceutical companies have managed to get their ADHD medications in classrooms all over the world. You’d think after this windfall they could leave these children alone. No, there is more pills to be taken and money to be made. Children with attention-deficit/hyperactivity disorder (ADHD) who also are extremely aggressive might benefit from taking an antipsychotic drug along with their stimulant medication, a new study suggests. Prescribing powerful antipsychotic medications to children with behavioral problems is controversial. Little is known about the long-term safety of these medications, which are approved by the U.S. Food and Drug Administration to treat severe mental illnesses such as schizophrenia and bipolar disorder. And previous studies have provided little evidence to support the idea that they help quell youngsters’ violent outbursts. An ADHD Epidemic or an Over-Diagnosis Epidemic? Click on the link to read my post on Why Are There So Many Children Exposed to Prescription Drugs? More than 1 in 10 U.S. Children Diagnosed with ADHD! Does anyone actually believe this figure is a true reflection of how many children actually legitimately suffer from the condition? The number of U.S. children with attention deficit hyperactivity disorder continues to rise but may be leveling off a bit, a new survey shows. More than 1 in 10 children has been diagnosed with it, according to the Centers for Disease Control and Prevention, which surveyed more than 95,000 parents in 2011. ADHD diagnoses have been rising since at least 1997, according to CDC data. Experts think that’s because more doctors are looking for ADHD, and more parents know about it. The condition makes it hard for kids to pay attention and control impulsive behaviors. It’s often treated with drugs, behavioral therapy, or both. The latest survey found about 11 percent of children ages 4 through 17 had been diagnosed with ADHD. That translates to nearly 6 ½ million children. Half of children are diagnosed by age 6, the study found. A 2007 survey put ADHD diagnoses at 9.5 percent of kids. The CDC survey asked parents if a health care provider told them their child had ADHD. It’s not known how thorough the assessment was to reach that conclusion. ADHD diagnoses were increasing at a rate of about 6 percent a year in the mid-2000s, but slowed to 4 percent a year from 2007 to 2011. That may reflect that doctors are closer to diagnosing most of the kids with the condition, said the CDC’s Susanna Visser, the study’s lead author. So doctors are now warning that ADHD is being over diagnosed. Over diagnosed by whom? 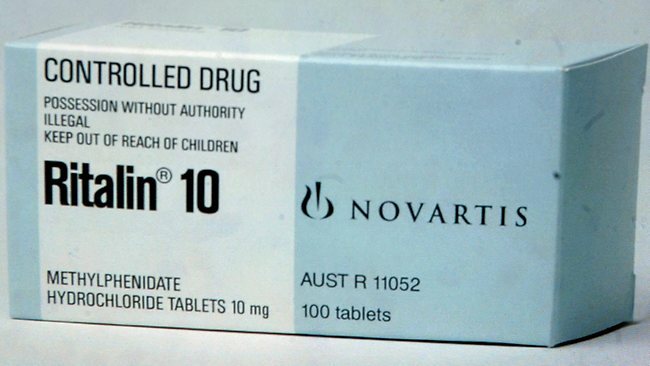 Doctors have been savagely over prescribing medication (Ritalin prescriptions have risen by 72% in Australia from 2000-2011), often for as little as concentration issues in class. This is not a reason to give children medication! Why is it that we focus on the child that is not concentrating rather than the teacher that isn’t sufficiently engaging his/her class? How can we blame the student when the teacher has often invested nothing more than a trip to the photocopier machine in planning for their lesson. Remember, the very same teachers that complain about the lack of concentration in their class can often be seen dozing off during a staff meeting or professional development seminar. 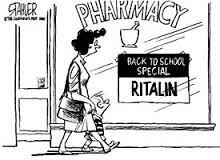 If poor concentration is all it takes to earn a prescription, then teachers at staff meetings make for great Ritalin candidates! For too long we have been allowing our children to be the guinea pigs for our obsession with the quick fix solution. I would have thought that one cannot make a proper determination about a child’s ADHD status until they have ruled out social issues, home life issues, dietary habits and sleeping patterns. But this due process often goes out the window, because those matters take time, patience and sensitivity. Who has got time for that when there’s a wonder drug that turns a daydreamer into a concentration machine? So the doctors think too many children are diagnosed with ADHD. I wonder who they have to blame for that. Click on the link to read Is There Any Student Left Without a Disorder? 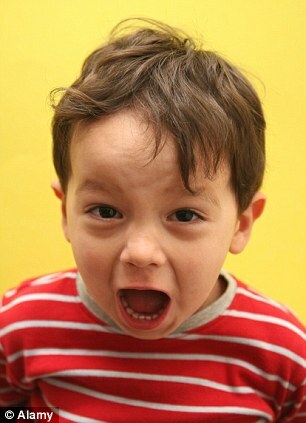 Shock Horror: Sleep Deprived Children Diagnosed with ADHD Instead! More children – and adults – than ever are being diagnosed with Attention Deficit Hyperactivity Disorder (ADHD). Yet many of those may not have the behavioural disorder but could instead be suffering from sleep deprivation, says a leading U.S. doctor. He estimates more than a third of children and a quarter of adults diagnosed with ADHD actually have sleep problems. Sleep deprivation, especially in children, does not – as might be expected – cause lethargy, but very similar problems to ADHD, including hyperactivity, an inability to focus, aggression and forgetfulness. The similarity between the symptoms, coupled with many doctors’ poor understanding of sleep disorders, is what is causing the confusion in some patients, says Vatsal Thakkar, a clinical assistant professor of psychiatry at the New York University School of Medicine. ‘While there is no doubt that many people have ADHD, a substantial proportion of cases are really sleep disorders in disguise,’ he says.